Student finance: five funding delays to avoid - Which? Student finance delays is a position no-one wants to be in. Follow these tips to avoid problems, and what to do if you do have student finance delays. Starting university out of pocket is a position no first-year wants to find themselves in. Apply for student finance as early as you can and avoid these five possible funding pitfalls. Our five top tips will make sure you start university with some all-important funds and can start making the most of your uni experience. Is this advice for me? In this guide. we're focusing on new full-time students who are applying through Student Finance England (SFE) for the academic year 2018/19, but all of these potential problems are still relevant for students applying throughout the UK (and should apply every year). 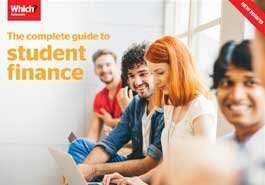 Learn more about the student finance processes, what you might be eligible for and how repayments work, for where you live; take a look at our guides to student finance in England, Scotland, Wales and Northern Ireland. Post the January Ucas deadline (it’s 15 January every year), student finance applications open, typically from the end of January. You should have your offers back by the end of March (it can sometimes take longer), but don't wait around for university offers before you apply. You can apply using your preferred choice of course and then update these details later on if things change. When should you hear back from universities you’ve applied to? You'll need your National Insurance number handy for this. Also, make sure your sponsors (usually your parents) submit their information at this same time. Once your application is submitted you can use the Application Tracking Service online to check on progress. The deadline is usually around the end of May for applicants in England to ensure finance reaches you in time for the start of your course – read our guide to fees and funding around the UK for more guidance on when you should get your application in by. Note that around the finance deadline, Ucas report that there's an increased number of phishing emails and text messages sent to students from fake student finance services, so be careful! 2. Expired passport? Not having a valid passport makes applying trickier. When applying for finance for the first time, you'll need a valid UK passport. This is the quickest way to prove your identity – all you need to do is provide your passport number as part of your online application. You won't actually need to send your passport unless you are asked to do so. If your passport has expired or you don't have a UK passport, you'll need to send your original birth or adoption certificate, along with a form confirming your identity – and it could take significantly longer for your application to go through. Be sure to send this via special delivery and include your CRN. Your CRN is your Customer Reference Number – you’ll be given this when you set up your student finance account .Keep this safe as you’ll need it to log into your student finance account. According to the Student Loans Company (SLC), the most common delay when applying for finance is students not sending in evidence to support their application – so if you're asked to submit evidence, make sure you do this straight away. Tip: renewing your passport (it usually takes three weeks) could be the easiest option. You'll only get student finance if you're doing your first degree – even if the first one was self-funded or studied abroad. The main exception to this is if you're 'topping up'. A top up course is the equivalent to the final year of an undergraduate course, which means you can move from a foundation to a Bachelor’s level qualification (a BA, BSc, BEng or LLB). Your nationality or residency status affects your eligibility, too. Generally speaking, if you're a UK national or have 'settled status' and normally live in the country providing the finance (you must’ve lived in the country for at least 3 years before the start date of your course), then you should qualify, but check directly with the relevant finance provider (Student Finance England in England) for full details on this. Tip: don't start your studies without knowing whether you'll actually receive funding or not – if a loan isn't granted to you, you will be personally liable for the course tuition fees, and up to £9,000 is a lot of money! Once your application has been approved, you'll be sent a Student Finance Entitlement letter showing you the loans and grants available to you, along with a declaration form. You will not receive your funding until a signed declaration has been received. A copy will be sent to you with your entitlement letter or you can print this out yourself once you have submitted your application – the sooner they receive the declaration form, the sooner your funding is in place. SFE receives a lot of post, so don't leave this to the last minute. Tip: don't fall at the last hurdle – sign and send yours by special delivery as soon as it comes through. You won't get a penny until you turn up at your university or college, so make sure you enrol as soon as you can (usually in the first week of your course, and you may need to take your Entitlement letter along with you). Although your payment schedule will say that the payment will be made on the first day of term, in practice, this means 3-5 days after you have registered. Tip: it's likely you'll have costs to pay before you receive your maintenance loan – for example, accommodation, course materials and initial living expenses – so bear this in mind when preparing to head off to university.